Some feel the Old Testament is just ancient myths. Others feel it has little relevance to Christians. Can we prove it has value today? The Old Testament has long been a target of Bible critics who have called it a collection of myths, with no divine authority over our lives. Even well-known theologians have rejected part or all of the Hebrew Scriptures, denying they are the record of God’s revelation to man. They overlook the available proofs that the prophets and scribes were inspired by the Creator of the universe, who preserved their writings for our benefit. This article traces the design and development of the Old Testament to show that it was carefully designed and preserved and that it is still helpful for us today. In the front of Christian Bibles is a list of Old and New Testament books, with 39 listed for the Old and 27 for the New. These content pages list the books in the order most of us are familiar with. However, the actual number of books in the original Hebrew Scriptures was 22. It is important to understand that there is no difference in the content, but merely in the way the books were grouped together. The translation of the Holy Scriptures called the Tanakh, produced by the Jewish Publication Society, groups the books under three major headings: Law, Prophets and Writings. Jesus acknowledged these sections (Matthew 5:17; Luke 24:44). Law (called the Torah in Hebrew and known as the Pentateuch in Greek): Genesis, Exodus, Leviticus, Numbers and Deuteronomy. Former Prophets: Joshua, Judges, 1 Samuel and 2 Samuel, 1 Kings and 2 Kings. Latter Prophets: Isaiah, Jeremiah, Ezekiel and the 12 Minor Prophets. Writings: Psalms, Proverbs, Job, Song of Solomon, Ruth, Lamentations, Ecclesiastes, Esther, Daniel, Ezra, Nehemiah and 1 Chronicles and 2 Chronicles. In the Hebrew Scriptures, what we now count as 39 books were originally grouped together as 22 books. The Hebrew alphabet had 22 characters, so 22 was a fitting number for the books of the Hebrew Bible. Josephus, a well-known Jewish historian writing in the first century, states: “It follows that we do not possess myriads of inconsistent books, conflicting with each other. Our books, those which are justly accredited, are but twenty-two, and contain the records of all time” (Contra Apion 1:8). At later times they were considered 24 books. In both cases, the 12 Minor Prophets were considered to be one book, and the following pairs of books were combined: 1 and 2 Samuel, 1 and 2 Kings, Ezra and Nehemiah, and 1 and 2 Chronicles. There are various theories of how two more books were combined to get down to the 22 books mentioned by Josephus. Many believe Judges and Ruth were combined, along with Jeremiah and Lamentations. Another proposal combines Joshua with Judges and Samuel with Kings. Why this combination? Joshua and Judges discuss the time when Israel had no king, while Samuel and Kings concern the time when Israel had kings. Thus two separate, distinct periods are being discussed. This proposal leaves Ruth and Lamentations in the Writings section where they are listed by the Jews today. Some wonder why Daniel is placed in the Writings section. His mission was different from other prophets. The other prophets dealt mainly with Israel, while Daniel deals mainly with the gentile kingdoms. He deals with the people of Israel only as they come into contact with the gentiles. Daniel is a book of hope, showing that after the gentile kingdoms have reigned for a certain time, God’s Kingdom will be set up on the earth. Daniel not only refers to Christ’s first coming (Daniel 9:24-27), but also to His second coming or return to the earth as King of Kings and Lord of Lords (Daniel 2:44; 7:27). The word canon is used by Bible scholars to refer to the books accepted as a legitimate part of the Holy Bible. “Canon” was derived from a word that meant a reed, implying a standard, rule or device for measuring. When applied to the Bible, it refers to those books regarded as Holy Scripture and having divine authority. Romans 3:2 reveals that God charged the Jewish religious authorities with the protection and preservation of the oracles of God—which include the Old Testament scriptures (Hebrews 5:12 and 1 Peter 4:11). “Good evidence exists in the New Testament which shows that by the time of Jesus the canon of the Old Covenant had been fixed. It cannot be questioned that Jesus and his apostles time after time quote from a distinct body of authoritative writings. They designate them as ‘the Scripture’ (John 7:38; Acts 8:32; Rom. 4:3), ‘the Scriptures’ (Matt. 21:42; John 5:39; Acts 17:11), ‘the Holy Scriptures’ (Rom. 1:2), ‘the Sacred Writings’ (2 Tim. 3:15), and so forth. They often introduce their quotations with ‘it is written,’ that is, it stands firmly written and it is indisputably true” (2010, p. 153). Jesus also refers to the original arrangement of the books mentioned above when mentioning the time “from the blood of Abel to the blood of Zechariah who perished between the altar and the sanctuary” (Luke 11:51). The first martyr cited was Abel and the last Zechariah (Genesis 4:8; 2 Chronicles 24:20-21). Christ recognized that the first book was Genesis, hence the reference to Abel, and the last was Chronicles, hence the reference to Zechariah. Christ, when confronting the devil, further stated: “It is written, ‘Man shall not live by bread alone, but by every word of God’” (Luke 4:4). The “every word” has to include the entirety of the Old and New Testament Scriptures. Thus it is unwise for Christians to avoid reading and heeding their message. The apostle Paul wrote: “All Scripture is given by inspiration of God, and is profitable for doctrine, for reproof, for correction, for instruction in righteousness, that the man of God may be complete, thoroughly equipped for every good work” (2 Timothy 3:16-17). At the time Paul wrote this, he was directly referring to the divine authority of the Hebrew Holy Scriptures (verse 15). Those Jewish scribes charged with the preservation of the Scriptures were extremely careful and meticulous in the way they handled and guarded the text. They were trained in the art of writing and were specialists in the accurate transmission of the biblical text. They followed stringent requirements to make sure there were no errors when new copies of the Holy Scriptures were made. For example, when a new copy was made, they counted the number of words. If the copy did not have the proper count, the manuscript was destroyed. This ensured that not a single word was omitted or added. Between the seventh and 11th centuries many of these professional scribes were known as the Masoretes, and that is why the official Hebrew text is often referred to as the Masoretic Text. Neil R. Lightfoot provides details about why these individuals were so highly acclaimed: “The Massoretes were not concerned with only such things as proper pronunciation. They also sought ways and methods by which to eliminate scribal slips of addition or omission. “This they achieved through intricate procedures of counting. They numbered the verses, words, and letters of each book. They counted the number of times each letter was used in each book. They noted verses that contained all the letters of the alphabet, or a certain number of them. They calculated the middle letter, the middle word, and the middle verse of the Pentateuch; the middle verse of Psalms, the middle verse of the entire Hebrew Bible, and so forth. In fact, they counted almost everything that could be counted. “With these safeguards, and others, when a scribe finished making a copy of a book, he could then check the accuracy of his work before using it” (How We Got the Bible, p. 132). God wanted these all-important truths to be accessible to mankind and to preserve the knowledge and the hope that is available for all of us. He made sure that this precious understanding would continue from generation to generation, until our present time. In March of 1948 a young Arab, while looking for a lost goat, accidentally stumbled across several jars containing old leather rolls with writing on them. Finding these manuscripts proved to be one of the most significant discoveries of recent times, and they become known as the Dead Sea Scrolls. 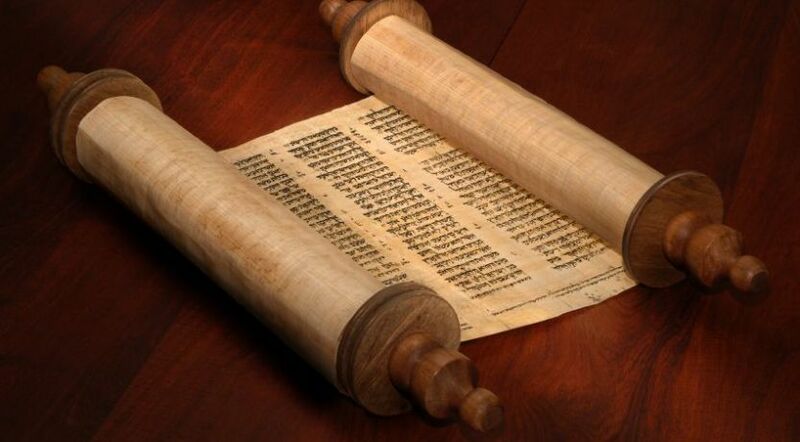 These scrolls were much older than the oldest and most reliable Masoretic Text we have today. Among the scrolls were numerous manuscripts of Bible texts, but the most prominent was the scroll from the book of Isaiah. After lengthy examination, scholars were amazed to find that, except for a few minor changes, the text was very similar to the Masoretic text of the Old Testament. It was not exactly the same, since those responsible for the Dead Sea Scrolls were not quite as meticulous as the official scribes mentioned earlier. The Bible is God’s divine revelation of His plan and purpose for mankind. It provides the truth about why He created human beings and their ultimate glorious destiny—if they follow His way of life. Furthermore, it gives us hope for the future in a world beset by problems that humans are finding more and more difficult to resolve. In a recent survey conducted by Barna Research on behalf of the American Bible Society, the majority of Americans (69 percent) said they believe the Bible provides answers on how to live a meaningful life. But while 79 percent believe they are knowledgeable about the Bible, 54 percent were unable to correctly identify the first five books of the Bible. About half (46 percent) say they read the Bible no more than once or twice a year (Lamar Vest, “Does the Bible Still Matter in 2012?” FoxNews.com). Think about that. Is it not fitting to pause from our restless everyday hurried life to consider the solemn significance, for each of us personally, of what the instruction book for mankind teaches us about the purpose of life, now and for eternity? Now is the time, more than ever before, to read and study the complete Bible—both the Old and New Testaments—that God has given us out of His great love for us. As Paul told Timothy, the Holy Scriptures “are able to make you wise for salvation through faith which is in Christ Jesus” (2 Timothy 3:15).